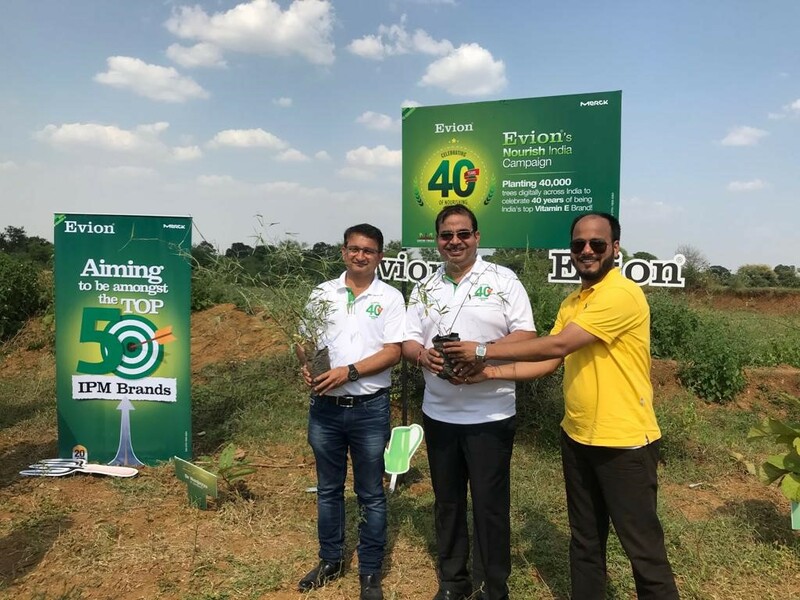 On the occasion of Gandhi Jayanti and its 40th Anniversary Celebration, Evion (Merck’s flagship Vitamin E brand) announced its novel Tree Plantation Drive of 40000 Trees at Harda, Madhya Pradesh. In partnership with Grow-Trees - a web-based service that enables individuals and companies to plant trees in public lands all across the world - Evion is reaching out to its physicians, partners and employees asking them to each pledge a tree. Together, they will collaborate towards ensuring that more than 40000 trees get planted to mark the brand’s 40th Anniversary in India. Evion today is the leading brand within the Merck Consumer Healthcare setup. It is India’s no. 1 Vitamin E brand, with a rich 40-year legacy amongst health practitioners and consumers. “At Grow-Trees, it is our mission to plant millions of trees in public lands of India while providing sustainable source of income to the forest dependent local communities. We are delighted to collaborate with Merck and Evion on this mega tree plantation drive for their 40 years celebration. It’s indeed wonderful to see a brand celebrate an important business milestone with an initiative like Trees for Rivers to give back to the community”, said Bikrant Tiwary from Grow-Trees.